Every day, Derek watched the sun fry the desert until it was crisp and dry. From the slit of a window in his office, he gazed on frenetic construction. Daily, men punished themselves in the heat, ripping apart the mud and clinker. Towers were taking root in the sand. Roads leading nowhere yet were birthing out of the soil into concrete cloverleaves. Traffic crawled on its belly, waiting for the next jam to open. Within the school, however, all was cool and air conditioned. Derek came away from the window and was grateful. On his first night away from England, he recalled, he had taken a walk without carrying any bottled water. Breathing had been like swallowing a fan assisted oven on full. Not a mistake he intended to make again. Now, six weeks into his new role as Head of Science, Derek was starting to feel more relaxed. Leaving England to teach in the desert had not been an easy decision. But, similarly, teaching in England had become an impossible job. The pay had worsened, year on year. The class sizes had increased. Low budgets had resulted in redundancies and decay. It had been killing him to watch schools cheat their way to good results then crash, burn and die anyway. And it was the children. The betrayal of the children. That hurt him the most. Here however, things were different. The symbol of the school was an acorn set against an oak tree, It was everywhere – on the front of the concrete building, the interior walls, the stationery and, of course, on the uniform the children wore. 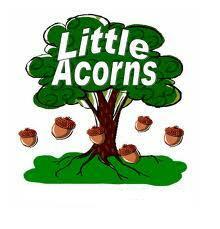 Little acorns. Derek walked from his office and into the gymnasium. There was a rousing cheer from the assembled students. An Indian girl, shrouded in an abaya, was speaking. Her face was cheerful and her smile infectious. She was pointing at her slide show and sharing. “You all love curry, right?” And there was another huge cheer. International Day. A chance to celebrate all cultures and all countries. Derek grinned to himself, quietly happy. “You don’t know me, of course, Mr Derek,” she mouthed, in a soft voice. The accent had a harsh, nasal twang to it. “You’re new here. Can we talk? Let’s go to your office.” She adjusted her headscarf. It was an impatient gesture. By now they had reached his office, a glass fronted affair that afforded no privacy. The world looked in and watched education in progress. On a daily basis. Derek often caught himself considering moving the book shelves in front of the glass, or putting up a gigantic poster. But, in the end, he had got used to people walking past and popping in on a whim to say hello. It was rather lovely, in an odd way. It made everything quite transparent. “Well, we have now,” grinned Derek, reaching for his notepad. It was the wrong thing to say, though. A cloud scudded across her face. “I’m here on a personal matter. You don’t know this, but my daughter attends school here. I hope you don’t mind me mentioning this, but…” the conjunction was left hanging, waiting for the drop. As she walked past the celebratory assembly that was coming to its conclusion, Derek caught sight of the Principal who glanced at him, then joined Ms Rachel. They now stood together, looking over the children, applauding. Derek opened a desk drawer and picked up his diary, emblazoned with the school’s logo. “Little acorns,” he muttered to himself. He wondered, idly, if there were any flights to Reykjavik leaving that week.